Recycling International reports that South African recycler Extrupet will be introducing a PhoenixPET brand later this year in order to promote the use of recycled PET resin in food packaging. 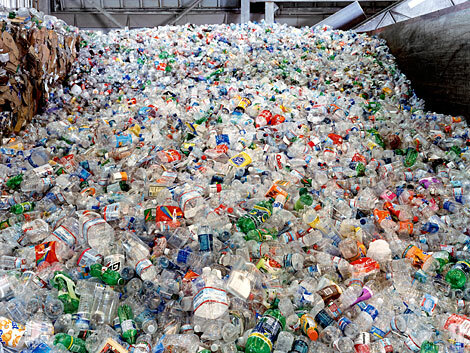 According to the PET Resin Association, PET, or polyethylene terephthalate, is a clear, strong and lightweight plastic belonging to the polyester family. It is typically called “polyester” when used for fibres or fabrics, and “PET” or “PET Resin” when used for bottles, jars, containers and packaging applications. PhoenixPET has proven to be in full compliance with the US Food and Drug Administration’s stringent food safety standards and is already used by top domestic retailers such as Woolworths. Extrupet’s COO Chandru Wadhwani told Recycling International that the rise of “green consumer consciousness” and the need for local consumer brands and their retailers to attain improved sustainability credentials were the main reasons for creating PhoenixPET. “Packaging is increasingly being recognised as a vital concern in any brand’s value chain. This is partly due to pressure from environmental non-governmental organisations,” he said, adding that Extrupet hopes to dispel “market myths” surrounding recycled food packaging.